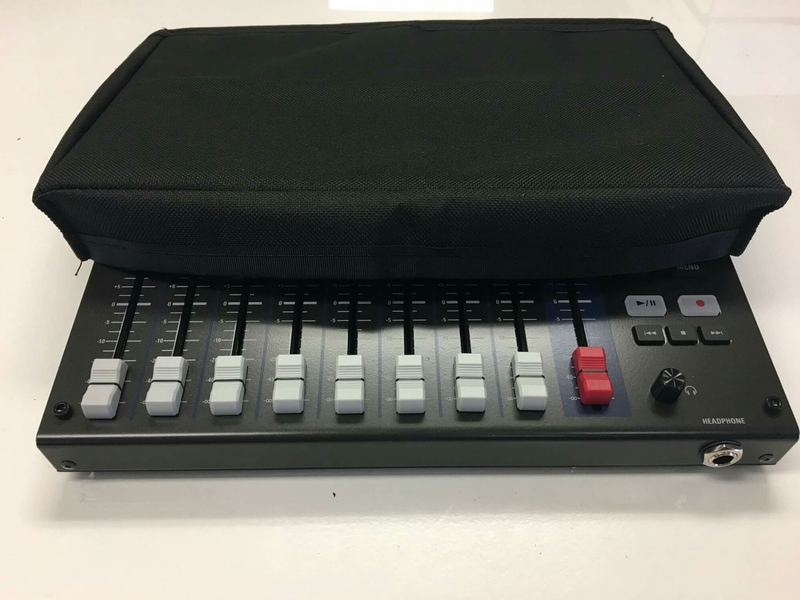 This past week sound mixer Fernando Muga of Muga Inc messaged me asking if I wanted to meet up and check out a new prototype cover for the FRC-8 mixing console. We met over coffee and discussed the details of what he had designed. He brought a few prototypes and ended up sending me home to play with a preproduction model of the final prototype. I thought it was such a great prototype that I would share some insights and review it for people who are interested in Muga dust covers. 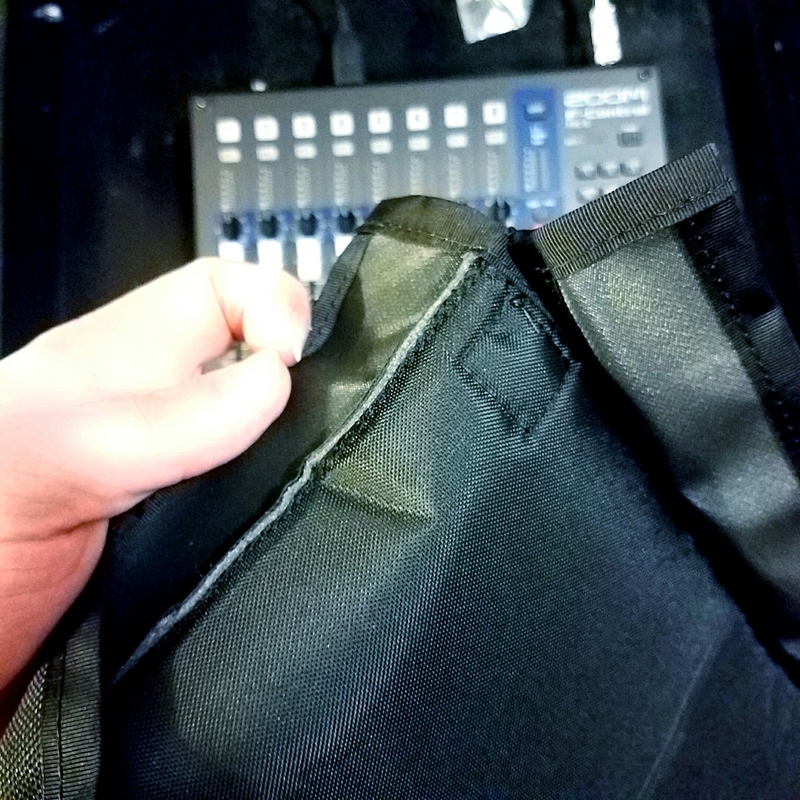 Muga Sound has been making dust covers for the CL-12 and CL-9 for a while now and can be purchased at every major location sound dealer in the USA. Fernando came up with the idea when he went to buy a soft cover for his CL-12 and there wasnt one on the market. He taught himself to sew and spent a lot of time sourcing different fabrics before he ended up on Cordura. Now he and his wife own 3 industrial sewing machines and are still making each item by hand. How he finds the time between working on American Idol and NBC’s emmy winning The Voice I haven’t the foggiest but each product is made right in LA. When I got back home from coffee I immediately started to play with the dust cover. First thing I noticed were the added magnets he added to keep the cover in place. They snapped on perfectly to the metal chassis of the Zoom FRC-8. The two squares in each corner of the cover secure a 3/4″ magnet. Now at this point in the review you are probably asking yourself “Andrew, you do tutorials and hack stuff… why aren’t you showing use how to make one of these covers?”…. Simple, the fabric used here is super heavy duty. It requires a heavy duty sewing machine and special needles that won’t dull when punching through multiple layers of this material. The best way to describe the texture and thicknesss of the fabric used would be to compare it between nylon straps and canvas. 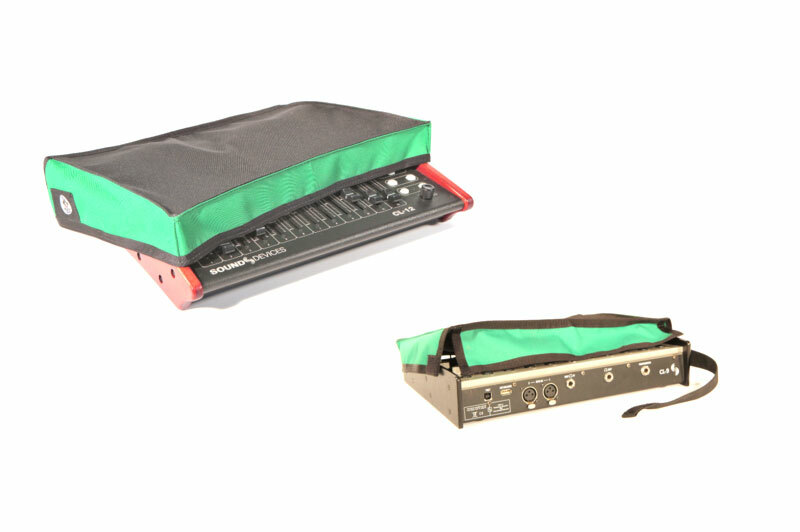 The cost incured to make your own dust cover would exceed what Muga Inc is selling these for. Even if you own a sewing machine sourcing the fabric and needles would add up. I’ve attempted sewing a nylon boom holder that would slide over the handles of my Rock N Roller. Note the key word is attempted… I bought a singer sewing machine, I bought fabric and the needed parts…. I now own an amazing multifunctional door stop and no cloth boom holder. 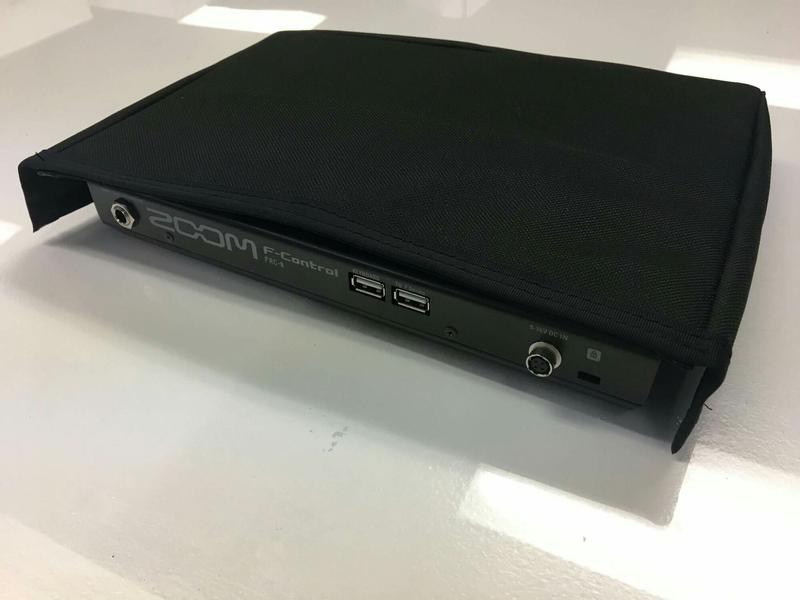 There is a foam pad sewn into the cover. Fernando also told me the Muga dust covers are water resistant and that water will bead up and run off the cover. 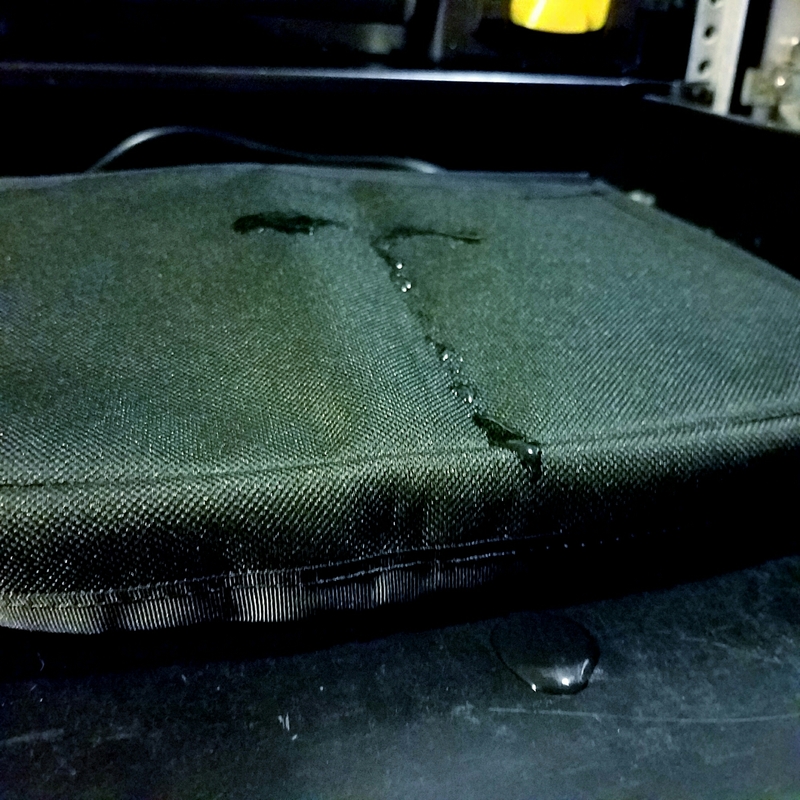 I poured water right over the cover and saw it do exactly what Fernando told me it would do. Which is great because looking back if it didn’t I’d be having a bad day while I write this. I took a paper towel to the water, wiped it off and was shocked to find that the surface of the dust cover was perfectly dry. It was like water had never even hit it. If it can keep water out, it will be able easily keep dust and LA pollution from settling on your mixing consule. 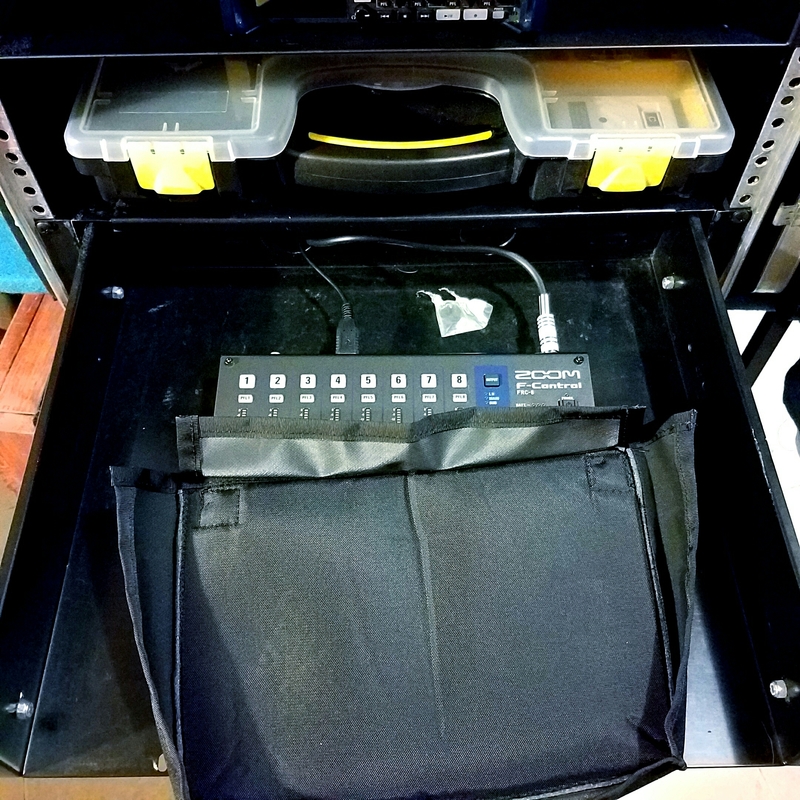 The back flap can be tucked underneath for use when cables are plugged into the unit. 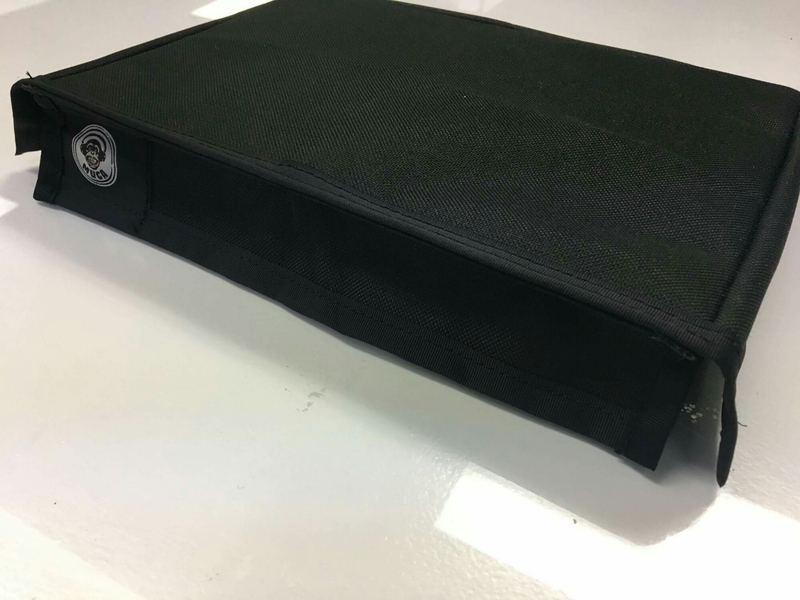 The Muga FRC8 dust cover will hit stores Feb 24th in LA and roll out to retailers nation wide the following week. Muga Inc plans on pricing the FRC8 dust cover at $37. Currently their other covers sell for $60-95 depending on size.